Paris has always captured my imagination and for the longesst time I had been content in experiencing it only in movies. I never expected setting foot in Paris in my lifetime and for the lack of word to describe it…to be awe struck by Paris is like a pinch of an understatement. It was work that brought me within “arm’s reach” of Paris and a little bit of luck that gave me a window of opportunity to get there. I was sent to do some work in Oberhausen, Germany which had me entering Europe through Amsterdam and passing through Dusseldorf, Germany. Amsterdam would have been a handful to go around already with all the canals, quaint houses and the “vegetarian” cafe they’re famous with but I never had the chance to go around because of the limited time I had. Going to this trip, I was actually set in going to Rome if I ever had the chance as it has been a dream destination for me like Paris. I was even practicing a bit of Italian on the flight to Amsterdam and was reading a travel book to give me an idea where to go which was informative but unfortunately had too much information that in the end it felt like I don’t need to go there anymore. A good lesson for other travellers – never ever read too much travel books because they might just drown out the excitement of travelling. My business in Oberhausen went on as planned for the first few days but an “unfortunate” delay required me to stay longer than planned and consequently left me with the whole weekend in Europe to myself. Sounds too good to be true indeed but I was never a travel bug before so it took me quite some time to muster up the courage to get myself to explore Europe. My hotel in Oberhausen was a few minutes walk from a nearby mall where I went to after office hours on that Friday. Being in Europe at the waning months of the Northern Solstice, I had more than enough time to ponder where to go. I was unresolved between going to Munich, Amsterdam or Paris and mot importantly I was also trying to figure out how to get there. Flying will definitely eat up my time as I have to shuffle between airports and baggage counters and security checks so travelling by train was the best option. Finally, after finding a tourist information office I was able to get information from some English speaking folks who showed which bus to ride going to the train station. The bus ride by the way was something worth remembering as until now I’m still at a loss figuring out how should have paid for the fare. Was I supposed to use a pre-paid card? Should I have bought tickets at a booth somewhere? Should I have paid the driver or was it free anyway? I thought it was the latter which surprisingly nobody noticed until I asked the driver before I got off. With the language barrier to our disadvantage, the driver didn’t understand that I was trying to ask how to pay for the ride. He just instead insisted that I unboard the bus which I embarassingly did. 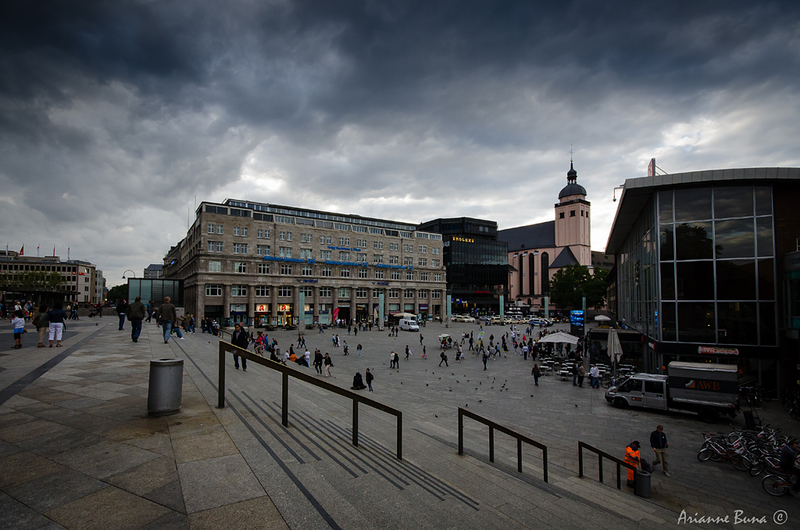 Awe began began sinking in the moment I reached the Oberhausen Train Station. It was so huge considering the train stations I’ve been to before but the best thing I liked in that station the same way with the rest of the European train stations is that you can pay for your tickets by credit card no matter how short your destinations is which was good for me as I was trying to save the cash I had which was already not that much as I had already been in Germany for a week already. The trips on the schedule board informed me that the train directly leaving for Paris has already left earlier which I would have caught if I didn’t spent too much time earlier collecting the courage to step outside Germany. My best option was to go to Cologne and find another train from there. If I remember it right, Cologne was about an hour from Oberhausen on an opposite direction going to Paris which meant that I will pass again Oberhausen on the way to Paris. If there was one thing I’d never forget about Cologne is that it is so COLD there. 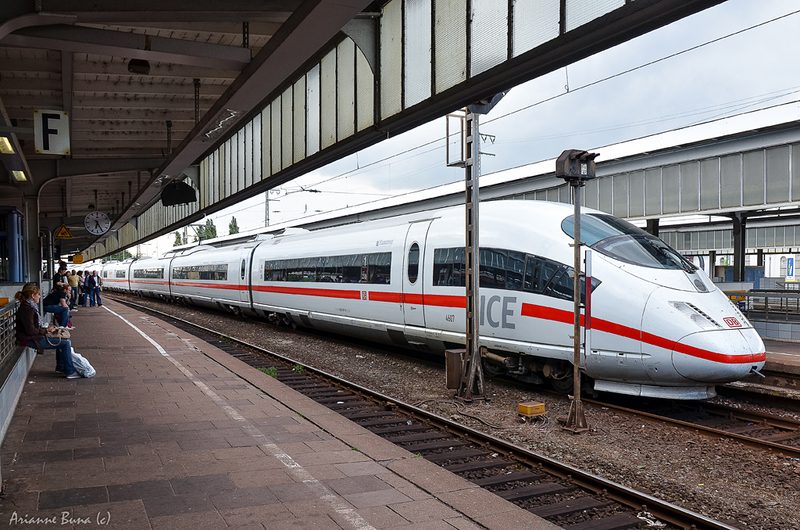 The moment I left the train after arriving at Koln Hauptbanhoff, I was already shivering. Everyone except me didn’t seem to mind the temperature but I tried to appreciate it. I just thought you’d never get this temperature in the Philippines unless you find a way to stick yourself inside the freezer. The temperature became bearable however when I started walking and taking photos of the place. Not only does the Northern Solstice resulted to extend periods of daylight, it also cast a mysteriously wonderful tone in the sky. 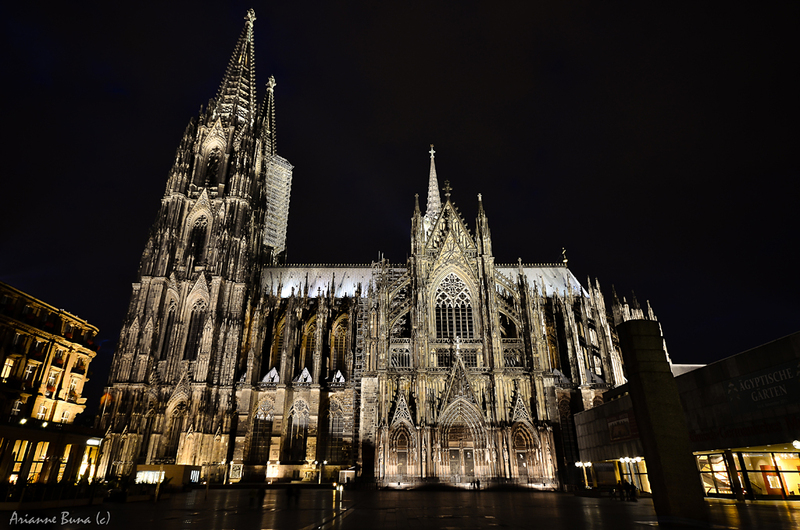 The Kölner Dom (Cologne Cathedral) is not difficult to miss when your in Cologne and I spent a lot of time scouring its perimeter for the best view and even had the chance to get inside. If I only had my tripod along with me I could have made better interior shots. The two towers flanking the Dom had a somewhat gothic style which I thought resembled but on a smaller scale the towers of Gaudi’s Sagrada Familia in Spain. 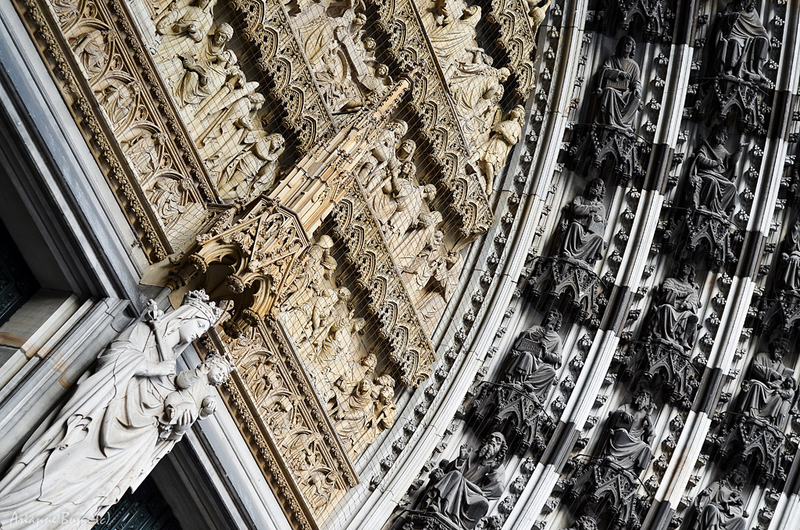 What draws one’s attention in the Dom is how it was built with astonishing detail. It was truly a feast to the eyes and It won’t come as a surprise for people to stand still for minutes just digesting the details in the Dom’s exterior. The streets of Cologne were also a sight to behold as the cobble stone streets stretched everywhere. 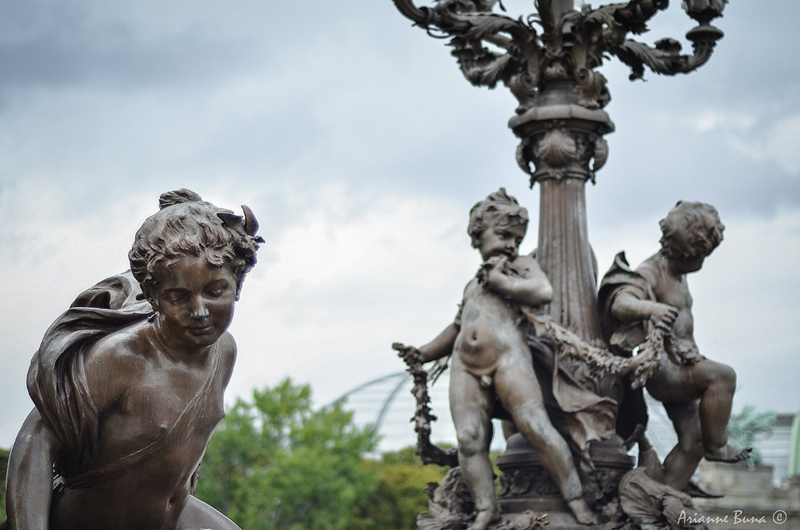 Together with the outdoor cafes and probably post World War II sculptures everywhere, the mood set here was for real. 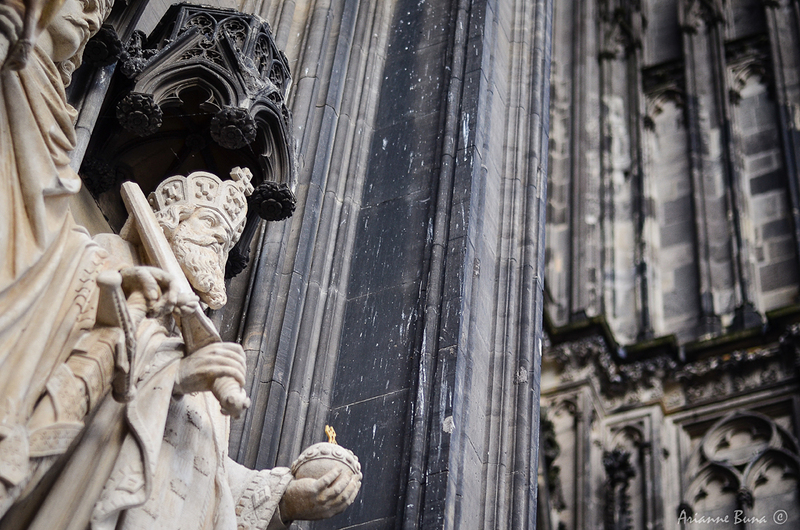 I believe, the Cologne I saw was just the tip of what the City holds as there was the Great St. Martin Church, and Cologne City Hall that I didn’t get to see. When daylight finally gave up, I found myself a suitable hotel to stay for the night and tried to get some sleep before catching the train for Paris early the next morning. As I was lying in bed that night, I noticed how police sirens dominated the air for rest of the evening. I finally dozed off thinking how the sirens were so alike with the police sirens in the car chases in the Jason Bourne movies. At around 1AM in the morning, I woke up, checked out of the hotel and walked my way to the train station. As I have done numerous times the night before, I asked one of the ticketing agents one last time to confirm that all I have to do when my train arrives (my train was an ICE train by the way) is get in and I will be given my ticket and pay for it inside the train. Very convenient but risky as I was prepared to pay by credit card only and I didn’t have enough cash with me to pay in case the card is offline. Fortunately everything went well. The train had sporadic moments when it runs at top speed which you’ll never notice until you look outside the window. To give you an impression of the speed the train was going, at its top speed, the power poles will appear like a continous blur instead of intermittent diagonal lines sweeping by we are used to seeing. It was an exciting sight for the first few minutes but will give you headache if you stare for long. The passengers inside were relaxed and very casual. When the train stopped to pick passengers on Brussels, a group of middle-aged women boarded with picnic baskets and drank champagne inside the train until we reached Paris. Of course I had no idea what they were talking about but whatever it was, they seemed to have a good time. As if the ride wasn’t impressive enough, I was surprised to find that all chairs had power outlets that passengers can use. I was able to recharge my laptop and upload the photos I already took just to be sure I don;t run out of memory space in my camera in Paris. I would have stopped by Brussels when we reached there but I decided to skip it when I heard the announcement on the train telling the passengers to watch out for pickpockets. It was actually not unusual knowing where I came from but I thought I am not in the best position to take the risk knowing I’m halfway across the world from home. Finally at around 9AM in the morning, our train came to a halt at Gare du Nord. As it slowly crawled to the platform, I was fixated looking through the windows trying to bring myself to believing that this is Paris I am now seeing. Instinctively, I tried to look through the skyline hoping to get a glimpse of the Eiffel Tower but it is nowhere to be seen. I thought right away that Paris must be so huge. Alighting from the train, I quickly went to the ticket booths to secure a ticket for my trip back to Oberhausen for the following day. Unlike the trip that got me to Paris, I was able to get a ticket that will bring me directly to Oberhausen. With ticket secured it now time to see Paris. Looking outside, I immediately saw the countless outdoor restaurants with all their fancy signages. The streets were not as wide as I thought and indeed compact cars where everwhere. It was a busy Saturday morning in Paris with people coming in and out of Gare du Nord mostly tourists just like me. I tried to find a tourist assistance station looking for a city map I can use. Being able to find one, I saw that Paris Nord was located a bit far from the major landmarks of the city and considering the traffic situation in the streets, I thought I’d use the subway. The subway was quite a challenge to figure out as there were so many platforms and were located at various locations levels throughout station. 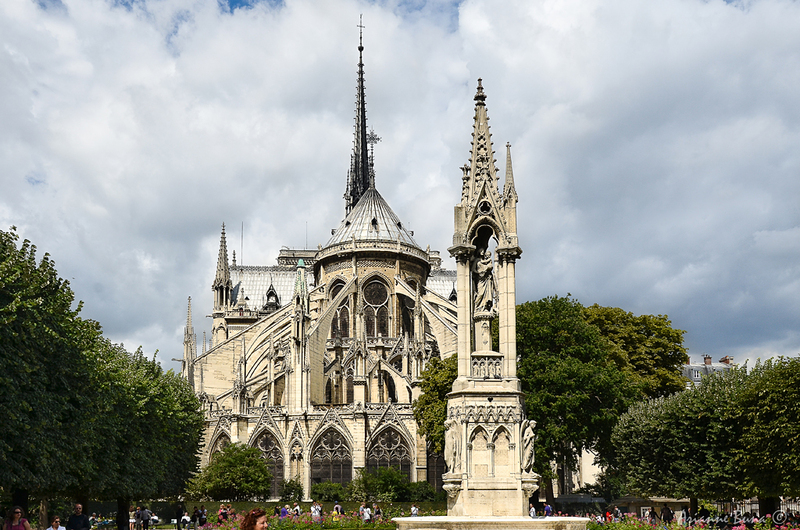 My destination was to get off at St. Michel and from there walk towards the Notre Dame Cathedral and see the views of the River Seine and work my way to the Eiffel Tower. St. Michel was packed with tourists and just as tourists would do, they made a background of every angle of St. Michel. That day, tourists outnumbered the local people by a large proportion and that made me feel comfortable to just keep my camera hanging on my neck as I walked around. Unlike Cologne, Paris was warmer but still a bit chilly just enough to make me keep my jacket on. Actually, for the rest of my brief stay in Paris, I never had to remove my jacket. Besides the bust and train rides I made, I must have walked around 5 kms in Paris without breaking a sweat. Really great climate. 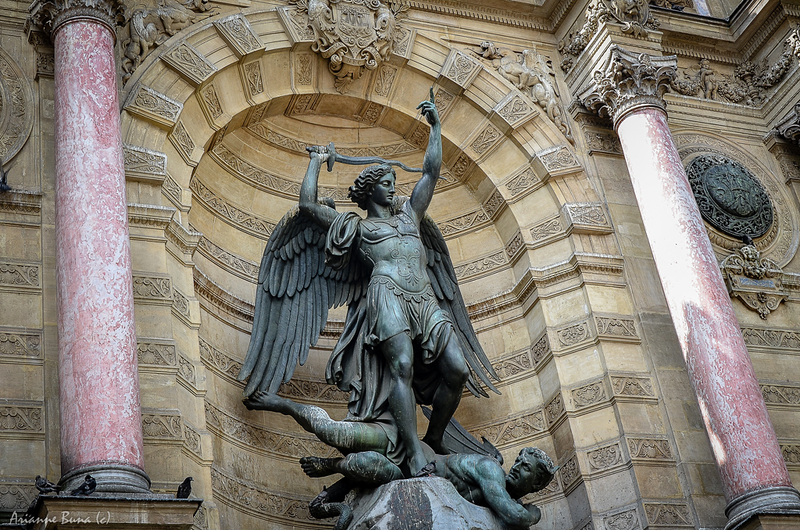 From St. Michel, I made my way through the bridge – Pont St. Michel then stopping buy to buy souvenirs at the stores lining up Quai du Marche Neuf. Every few minutes or so, ferries will pass by the Seine River loaded with tourists. You can tell the nationality of the tourists by the flags waving on the ferries on some. Other ferries were more elegant having tables on their decks with passengers having wine and brunch. 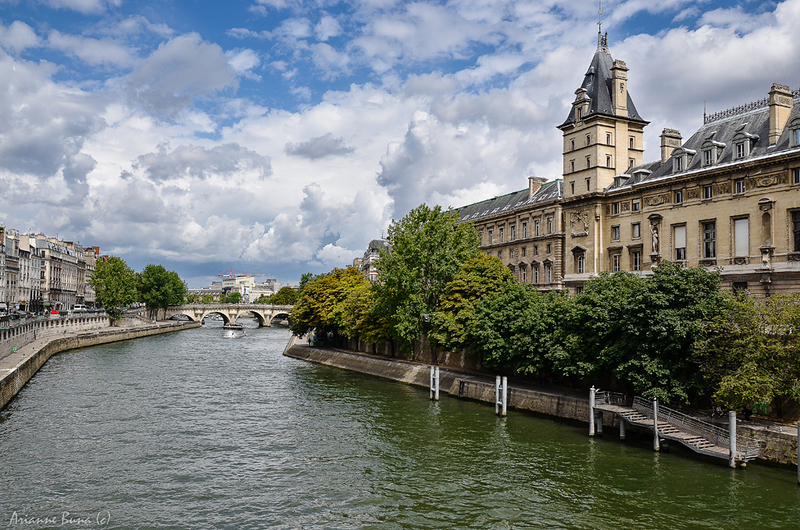 At the banks of the river, you can see mostly locals hanging out and chance by a few couples kissing in that very cinematic Paris kind of way. At the end of Marche Neuf, if the Notre Dame Cathedral which was also filled with tourists. At its front, you’ll see long winding queues of people wanting to get inside. Birds were plenty and some tourist kids amusing themselves by getting covered by birds perching on their arms and heads. Numerous bronze statues were also scattered everywhere with the distinctive greenish-white hue of Copper Oxide on their surfaces. Instead of going inside the Cathedral, I went to the Crypt (Crypte Archeologique du Parvis de Notre Dame) below the front lawn which showed various Roman-like burial grounds and structures built in the city ages ago. Mostly ruins, the literature and maps show how Paris through the centuries developed to the city that it is now. At some point in its infancy, Paris resembled something like our Intramuros. 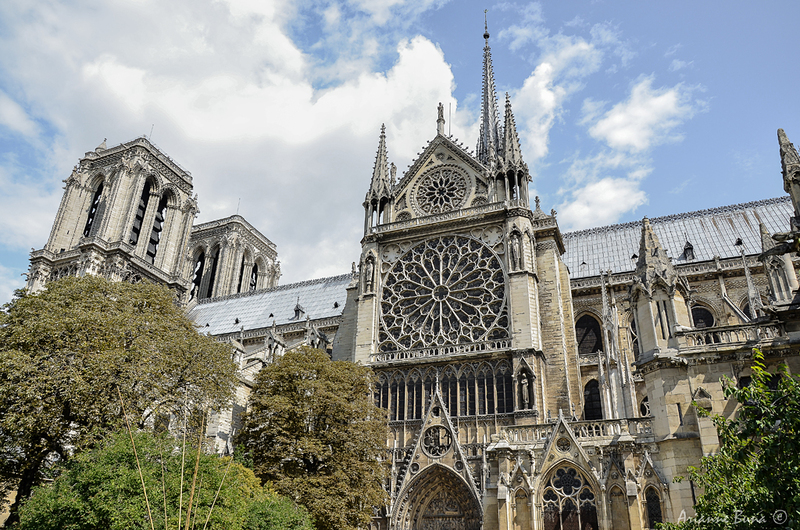 Notre-Dame Cathedral was breathtaking at all angles and I spent just the same time at its back lawn as I did in the front. One amusing thing at the back lawn is that speakers were hidden in the plants playing French tunes. 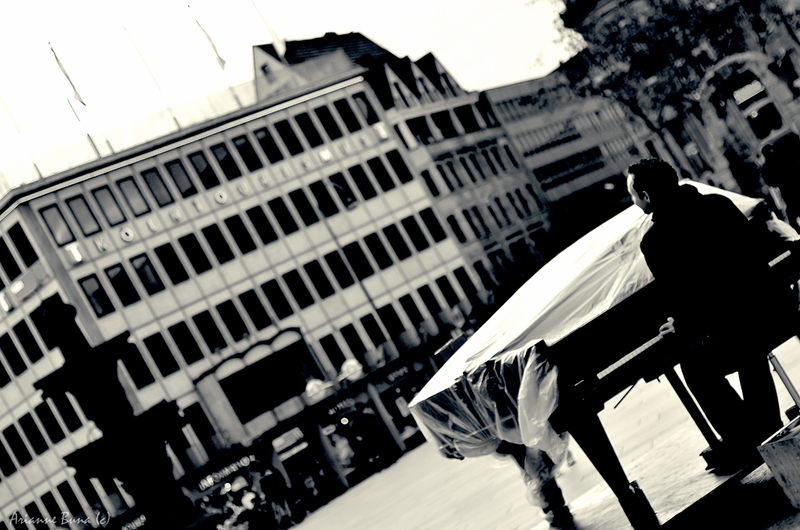 I’m just not sure it it was harpsichord or violin but it was very romantic. I actually saw several newlyweds walking along Quai de’l Archeveche and Pont Saint Louis complete with their wedding suit and gown and their photographer just shooting as they trot along and kiss as if the entire city was their ballroom. 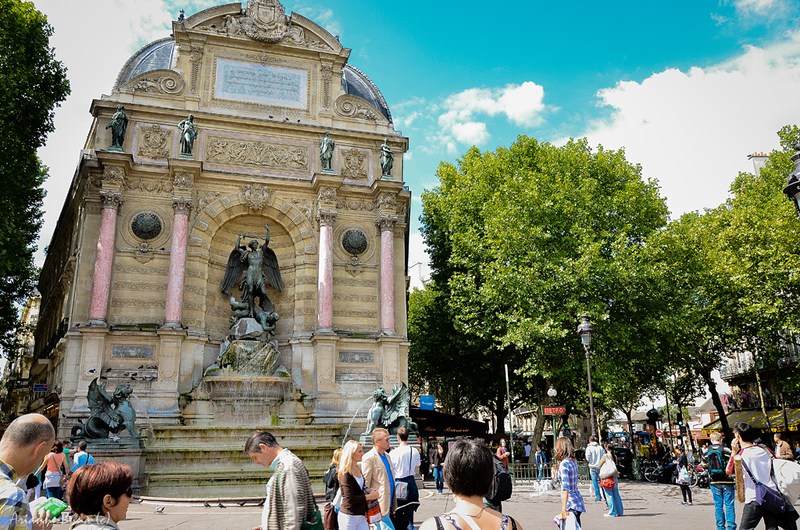 Moving on, I went back to the subway and headed for Champ de Mars – Tour de Eiffel which will take me to within vantage point of the Eiffel Tower. 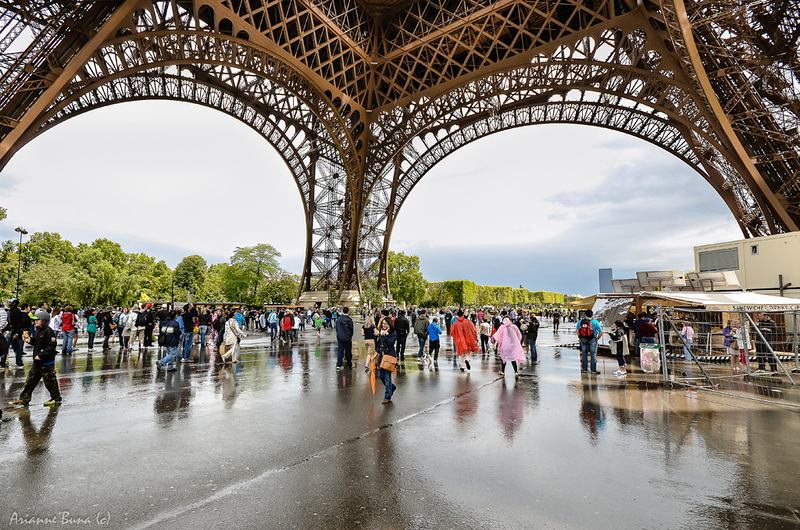 As I walked along Quai Branly, inching closer to the Eiffel Tower I felt the excitement build its way finally coming to its plateu when I finally reached the foot of the tower. Tourists were everywhyere but that wasn’t enough to spoil the mood of the place. 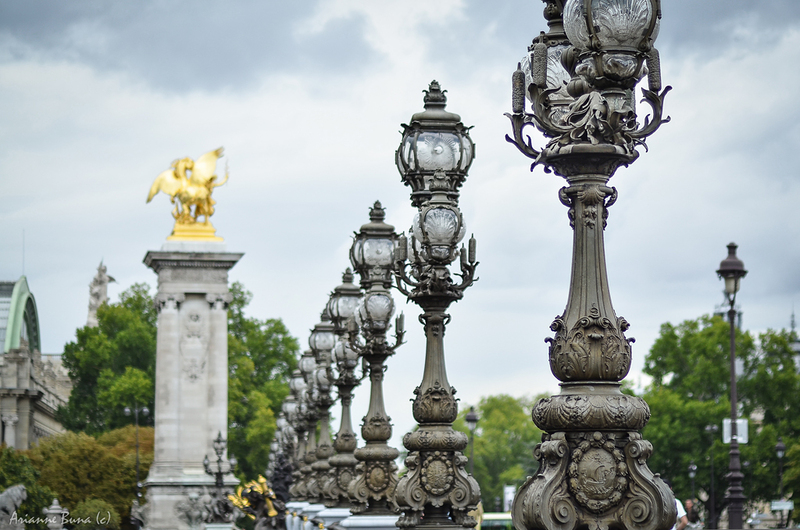 The City had so much for everyone that congestion didn’t seem to be a problem as people’s attention get divided between the finely detailed carousel at Promenade Quai Branly, the amazing statues lining up Pont d’lena and the enticing Palais de Chaillot looming over the distance. 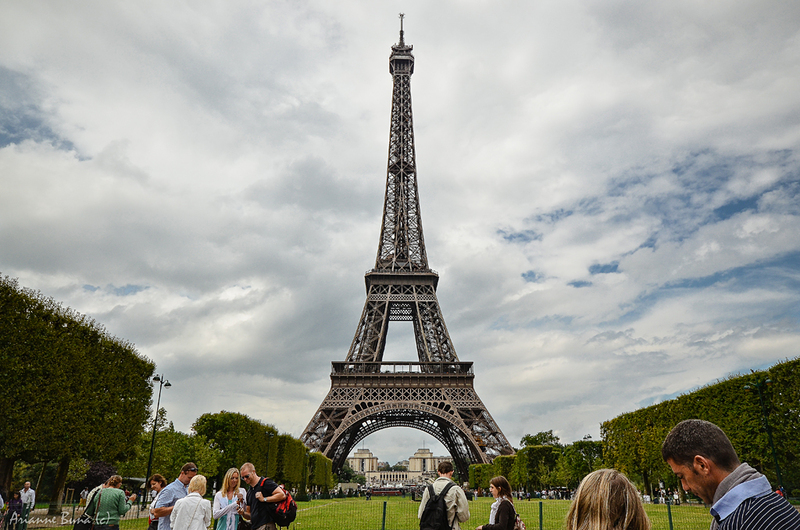 The massive legs of the Eiffel Tower has elevators that take tourists to the tower’s mid and top levels. The line stretched to forever that day so I thought that getting to the top will take up a lot of my time. The open area behind the Eiffel Tower was scattered with tourists, newly weds and souvenir hawkers which I think were mostly South Africans. These hawkers were quite persistent and would go their way to speak a few words in various dialects just to get attention. At first they thought I was Indonesian which was pretty close for a first guess. Making sure I never miss out any angle of the Eiffel Tower, I took photos from different vantage points. One thing I noticed having seen the tower for real is that at its first level names of what seemed to be famous Frenchmen are written all around the tower. I’ve never seen this detail before in any photo or replica which made me appreciate more having seen the real thing. I never felt that I’ll have enough of this famous landmark and although I’ve shuffled twice or thrice between Mur de la Paix and Quai Branly already, I still find myself in awe with the tower. As I took more notice of the trees and signages of Av. Joseph Bouvard, I found out that tomorrow Sunday will be the closing leg of Tour de France as the riders finally reach Paris. Riders were actually filling up the avenue staging their sort of advance celebration of Tour de France. Knowing that this will be a big event, I thought that I should change my schedule and depart earlier to avoid the congestion from the people coming in on Sunday. Therefore, Instead of leaving Sunday morning, I must leave this same day. Disappointing as it seems, I believed it was the best choice for me as right after buying my departing ticket at Gare du Nord hours ago, I noticed that my credit card went offline which considerably damaged my chances of finding a hotel for an overnight stay. Adding to that, who knows if I’d ever find a hotel room with so much tourists in Paris at this point. I realized that not only were tourists flocking the city for its sights this weekend, they were also anticipating the final leg of the Tour de France. It was only around 5 hours ago that I reached Paris and now I have to plan on leaving already. Breaking a heavy sigh, I told myself I better get moving then and make the most of the sights on my way to Gare du Nord. I found myself walking the length of Av. de la Motte-Picquet passing by Musee de l’Armee, Place de Invalides, and Historial Charles de Gaulle. The streets these time had less tourists and the whole mood was much calmer. Place Invalides’ gold plated dome, gray slate roof, classical architecture and manicured lawns at the center of the Avenue was just an amazing sight. 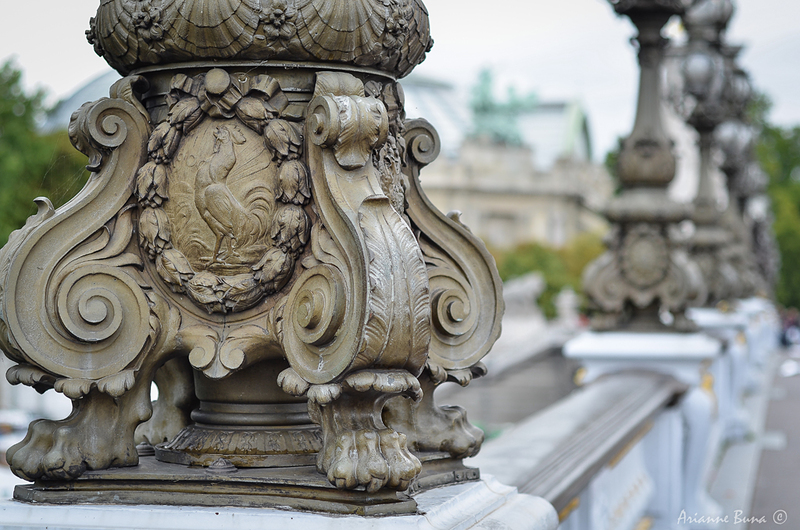 I continued walking the other direction reaching Quai d’Orsai and the lavishly decorated Pont d’ Alexandre. Probably one of the most impressive bridges in the city. At this point, it was already starting to drizzle and it was raining when I reached St. Michel before descending to the subway that will take me back to Gare du Nord. In the same way love stories with sad endings end with rain, The whirlwind that brought me to Paris and what seems to be a sliver of time I spent there ended up the same way. Looking beyond the rain clouds, the sun glimmers behind assuring that the rain will come to a pass but not after it has washed of its streets of my footprints. I know I did my best and covered as much as I could and even if we only shared a heartbeat, the memories will be forever. Paris, je serai de retour!